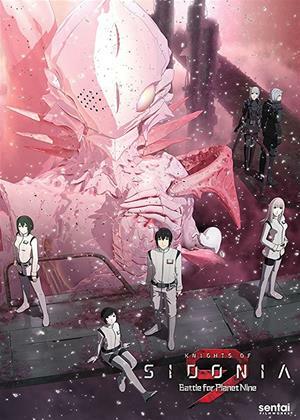 Knights of Sidonia Battle for Planet Nine (Daikyuu Wakusei Seneki) contains episodes 1-12 of the second season of 'Knights of Sidonia'. Discovering the nature of one's individual identity is a question every sentient being confronts. Do you only count if you're entirely human? What does it mean to be a person? In a war with the alien Gauna, capable of absorbing and re-purposing human DNA, these are no longer abstract questions In these uncertain conditions, pilot Nagate Tanikaze finds himself developing an obsession with the Gauna clone of his deceased beloved, Hoshijiro. Meanwhile, his close friend, Izana, a manufactured non-binary human, goes through an alarming change as their feelings for Nagate grow. Existential and romantic problems will have to wait though, as the Guana step up their attacks and a virtual coup d'état threatens to throw Sidonia's leadership into chaos, while even darker forces stir within. The very definition of what it means to be human is about to be questioned as the battle to survive continues in Knights of Sidonia: Series 2: Battle for Planet Nine!